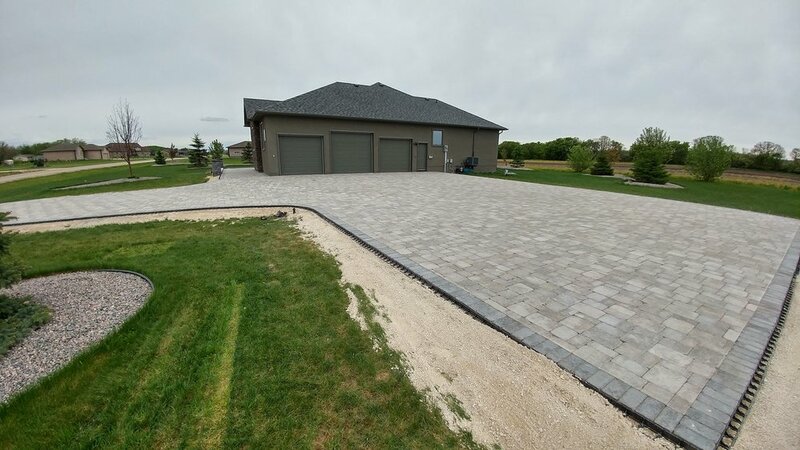 Why should you consider a paving stone driveway in Winnipeg? On top of paving stones amazing curb appeal and beauty vs concrete, concrete is prone to cracking, creating unsightly lines that get worse with our extreme freeze and thaw cycles. Paving stones - known as flexible pavement - can move with these cycles making them less prone to cracks. Paving Stones are manufactured with a lot less water than poured concrete which makes them more durable and last longer especially in a driveway application. Paving stones are only between 2 and 3 inches thick, allowing for more base and are lighter than concrete which prevents them from shifting and sinking as quickly. Aside from this practicality, the best part of paving stone driveways are the many design opportunities. There are countless options when it comes to style and colour. Let the Pavingstone Pros guide you through the process to find the most suitable fit for your driveway.